*concentrated* raw evil, then carefully extracting any goodness though a chemical process, concentrating the result, and putting the final product into black jars so that the sunlight doesn’t cause it to dissolve. Also, mixing Marmite with holy water causes an explosion which witnesses say can only be described as “Like matter and anti-matter“. 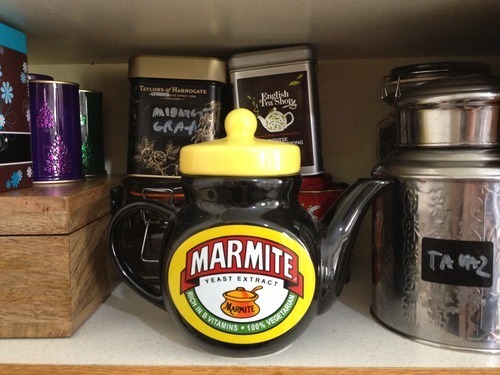 Nobody has yet tried either staking marmite though the heart, feeding it lemons or stealing its socks. and gods help the fool who uses his marmite knife next on the butter. (To a (now) ex-girlfriend) : The simple thing is that, light of my life, Marmite is ikky. Marmite is a blot on the spec of a culinary horizon of spreads that rises over the mountains of “It’s All Mine” Real Chocolate spread, though the wastelands of peanut butter, around the small puddles of sandwich spread and flooding the valleys with a sheen of golden syrup glinting lightly in the sunset. Somewhere out in this metaphorical landscape is a pit of thick black/brown liquid that occasionally goes “gloop” horribly, it’s only claim to fame being a brief appearance in a movie starring David Bowie. 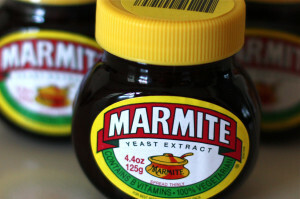 Marmite is the anti-spread, a single gram of it dropped into half a kilo of butter will render the entire pat useless for consumption by all those with more than one single properly functioning taste bud. 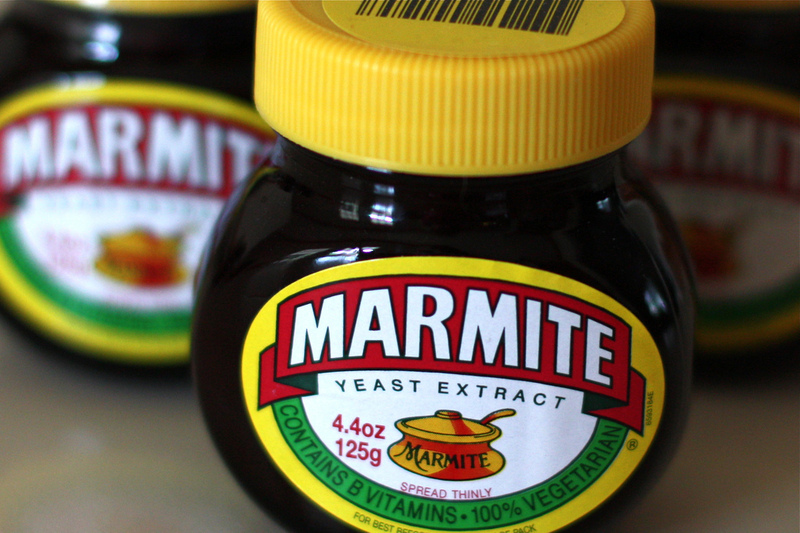 Marmite is the very definition of evil, it’s very colour a signal to nature to stay the hell away from it, nothing edible can be that colour. It’s smell can drive grown men out of a house, it’s taste causes ducks to swim *away* from bread. Even it’s makers admit that you can make circus-freaks of the people who eat the stuff. It is Wrong, purely and simply. And the fact that you, darling, eat the stuff just confirms how good your taste in things is. Now. if you’ll excuse me, I’d better start running. I love my friends. Mostly. Sandwich spread was used in a great many TV dramas for when a character needed to throw something up. This is all you need to know about it. Ruthi saw it and reminded me it might suit you. I merely decided to make the actual purchase and chose the wrapping paper. Ccooke wrapped it for me. It was a team effort. I am glad you liked it.